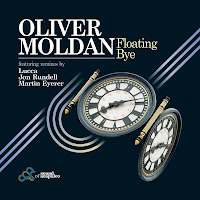 Coming from that deep/prog/tech crossover zone, Floating Bye comes in a range of mixes. Jon Rundell’s is too tech-y for me but the Original and Lucca mixes do the deep prog thing pretty well, Lucca’s being the far more mainroom-friendly of the two. However, it’s all about the Martin Eyerer remix for me. Eyerer has been on superb form with his own productions lately – I just reviewed the excellent Pianoroll (with Benno Blomme, on Great Stuff) and Southern Soul (with Glimpse, on Buzzin’ Fly) for iDJ – and this remix sees him ploughing the same deep-as-you-like furrow, with an understated walking two-note bassline adding a dose of funkology to proceedings. Me like. 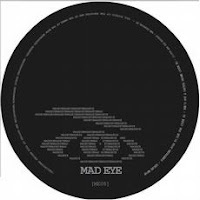 About the label: This is on Mad Eye, which is an offshoot of Beyer’s own Drumcode. Read all about Drumcode, Mad Eye and third label in the family Truesoul Records here. This is on a new label outta Leeds, and having grown up in the Leeds/Bradford area, I’m only too happy to push new house talent from the land of the white rose*! That said, there’s no need for regional nepotism cos this is ace anyway. The original of Love Insurance has a touch of the disco-house about it on the Original and Hector Moralez mixes, then it gets taken (unsurprisingly) deeper by yer man Dermarkus Lewis on his three rubs – he turns in a Remix, Dub and Late Night Dub, of which the latter is my fave by far. Proper deep, yagetmi? 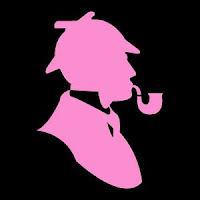 About the label: As mentioned, this is on a new label outta Leeds called Baker Street. Here’s their MySpace, so keep an eye out. Shout out also to my man Ian at Kahua for sending, have a peep at the Kahua website when you get a sec, cos A) Ian’s runnin’ tings when it comes to pushing quality house in the UK right now and B) there’s an online store where you can buy downloads and – gasp! – vinyl of the many Kahua-associated releases you’ll read about on this blog and in the pages of iDJ. 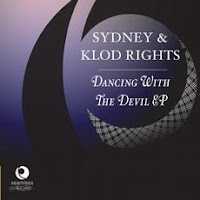 Funny coincidence here cos I hadn’t spoken to my man Sydney for several years… and then no sooner did he get in touch to tell me about his new label Tokyo Red (see below), than this collab’ with the strangely-named Klod Rights on Seamless Black Label landed, too. It’s clearly International Month of Sydney, or something. About the label: I’ve said it before and I’ll say it again: dance while the record spins! No, not that. What I meant to say was, Seamless Black: very good label. The main Seamless label can get a bit commercial at times but Seamless Black is pretty much always on the money. Check also for the new Best Nights Ever compilation Beach Party. Find their website and all you could wish to know here. If you’re not a UDD™, look away now… this is uplifting, peaktime vocal house with plenty of pia-pia-piano action that teeters right on the very brink of H** K**** cheese. To me it stays just about on the right side of the line but it’s a close call. There’s also a remix from Reza, who had a load of stuff out on DTPM, Kidology, Nocturnal, Refunkt and others a few years back but seems to have gone a bit quiet of late. 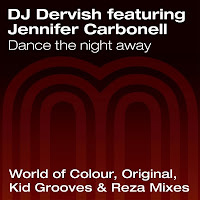 However, his mix is a bit too electro-fied for me so I’d stick to the World Of Colour and Kid Grooves rubs to be honest. About the label: This comes atcha on Metrogroove, which is a little independent UK house label. And little independent UK house labels are one of my favourite things, so go visit their MySpace page whydon’tcha eh? PS: UDD™? Unashamed Disco Dolly. Do keep up. 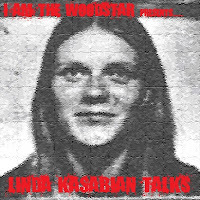 Don’t know much about IATW except they used to be called I Am The Woodstar (Not The Monkey Star), which was an even better name, and also reminds me of Jimmy Saville’s oldies show on Radio 1 back in the 80s when he used to give out points for remembering obscure shizzle in brackets. Anyway, apparently – one quick Google later – it’s two guys from Nottingham. And I guess I’d describe their sound as coming from the slightly more leftfield end of deep house. Anyway I like it. Here you get the title track, plus Bring Me Down, Friday Nights In and two mixes of Starter For 10, one of which uses a very famous vocal and the other of which is called ‘Tribute To The Free Party Mix’, which I guess gives away their East Midlands connections. Spoddy/spooky point: Linda Kasabian was the member of the Manson Family whose testimony convicted them, and you can find the US TV documentary from which the eponymous sample is taken from here, if you’ve a mind to. 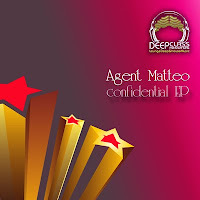 I have quite a bit to thank Matty Gillespie for – AKA Agent Matteo – cos it was him that introduced me to Deep Class, which has gone on to become one of my favourite labels of the moment. This three-tracker sees no let-up in the deep n’ dreamy house quality on Cloud 9 and Confidential itself, plus there’s a little bit of deep techno for ya in the shape of Detroit’s Lost One. Full marks all round, then. According to DC’s Facebook page, this has been getting props from Garnier, Luke Solomon, Benji Candelario, Lawnchair Generals… and it’s out now. About the label: Like I said, Madrid-based Deep Class are totally doing it for me right now. Find them here (MySpace) and also check ’em out at djdownload.com where you can read more and buy their shizzle. Italy’s DJ Sydney knows a thing or two about deep, techy house music, so the birth of his new label T0kyo Red is definitely a cause for celebration. This debut release is a three-track affair: Soul Chant in its Original Mix form will appeal to lovers of classic stripped-down Jersey garage and minimal/deep house alike with its relentless organ loop and chanted vox, Sydney himself delivers a Remix that’s even deeper thanks to more restrained use of the percussion, and finally you’ve got Lost In The Jungle, which is an altogether glitchier, techier affair. The Soul Chanter EP is out now. About the label: As previously mentioned, Tokyo Red is a new label from DJ Sydney, he of Kebosh Records fame and an Italian/Slovenian correspondent for iDJ many years ago. The Soul Chanter EP is the label’s first release, with Air Force One by Frank Caro & Frank Garcia to follow v. soon so watch this space! Oh yes, and here’s the label’s MySpace page. Not going to say a lot about this one, partly cos I’m in a bit of a rush right now and partly cos there isn’t a great deal to say. But yes, it’s the Ce Ce Peniston classic getting a noughties commercial house makeover and no, it’s not as bad as you might think. In fact as long as you check your brain/credometer at the door, you might find you really don’t mind it. It’s not THAT horribly cheesy and Ms Milan’s tonsils, while obviously not Ce Ce’s, do a passable impression. Mainly I’m writing about it cos that Bart B-More version was SHITE, and this is better. So it deserves props for that alone. Mixes come from Boogie Pimps, Yo Maha Project, The Good Guys and (deep breath) Romain Curtis, Ceeryl & Philippe. The latter’s and YMP’s rubs are the least cheesy; the BP’s and GG’s can’t seem to resist the temptation of stupid trance-y breakdowns. About the label: Written about Housesession before. German. Quite cheesy but not horrendously so. More: www.housesession.com. That is all.